New line of fashionable tack from Mustang MFG. This fashion print 40" nylon off bilet is durable and built to last. 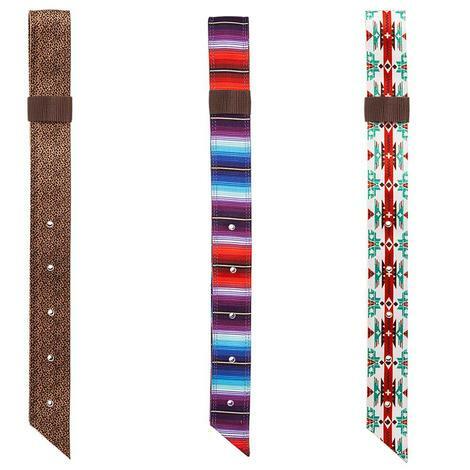 These fashion print nylon tie straps from Mustang MFG. are 6' long and durable and made to last. SMX Comfort-Fit Western Shearling Cinch is made by Professional’s Choice. It is double stitched, reinforced, and heavy duty. 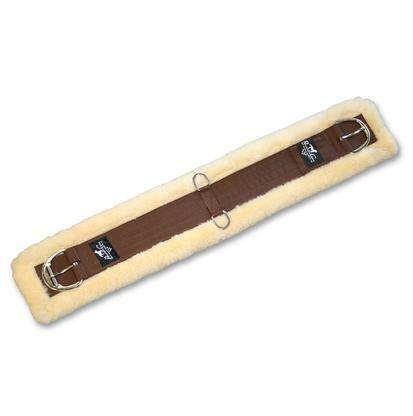 The shearling lining and heavy duty webbing provide your horse a secure but comfortable fit. 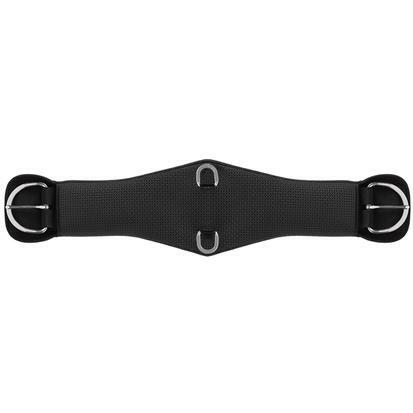 This cinch features a roller buckle, stainless steel hardware, and reinforced D rings. It is even washable. 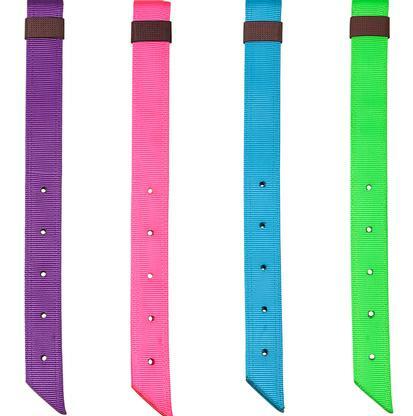 Off billet that is made of strong nylon and comes in multiple color options. It has an integrated keeper and five buckle holes. This off billet is easy to clean. Just hose it off and let it dry. This is six feet of strong nylon. 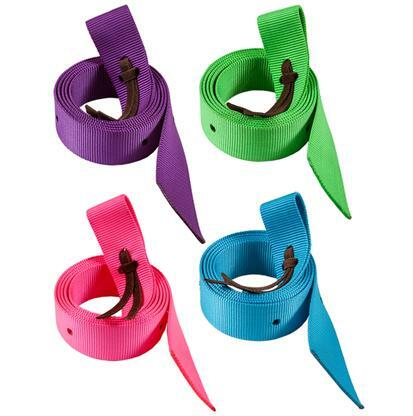 This cinch strap comes in multiple color options to match and enhance your tack and saddle. The waffle patterned neoprene liner won’t slip and uses your horses own sweat to prevent irritation and galling. This material won’t harbor bacteria and is easily peeled away from the webbing for quick clean up. The heavy duty dee rings and roller buckles are stainless steel and reinforced for durability. 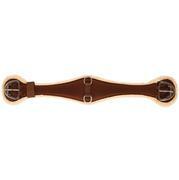 This is a straight western cinch that is easy to use and comfortable for your horse. The Mustang flank cinch is double stitched nylon for an easy to use and clean product. Each buckle has a roller for simple adjustment and a nice clean appearance. This is a roper cinch made of 27 stands of hand-tied mohair blend. The billet pocket, sewn reinforced center, and the oil tanned bottom are all leather. 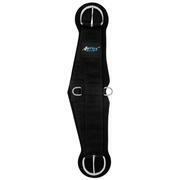 The roller buckles make cinching up faster and help you get a more secure fit. The 3 inch buckle and 1 inch dee rings are all stainless steel. This 29" strand double woven mohair blend cinch has a leather pocket and a sewn leather reinforced center. The mohair roper cinch features three flat stainless steel buckles and dees. Washers stabilize the buckle tongue for a straighter pull. This straight cinch has 31 strands made of mohair blend, a black nylon billet pocket, and a black nylon sewn center. The hardware is all stainless steel. This roper cinch has a billet pocket to keep your latigo secure and flat stainless steel hardware. The flat buckle is 3 inches and the dees are 1 inch. 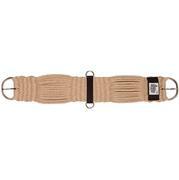 This is a double woven wool blend made in 27 strands with a wrapped nylon center. 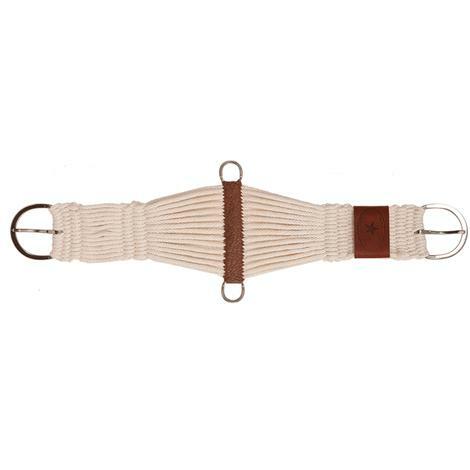 This roper cinch is designed to be non-chaffing and to distribute pressure. 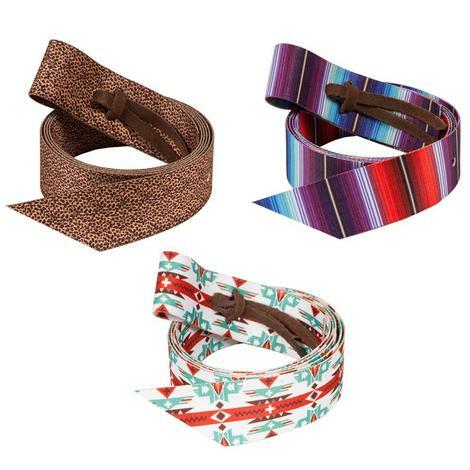 This straight cinch has a removable PVC backing that moves with your horse and is removable for easy washing. 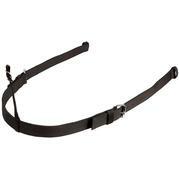 It is made with black nylon, a 3 inch nickel plated straight pull buckle, and 1 inch nickel plated dee rings. 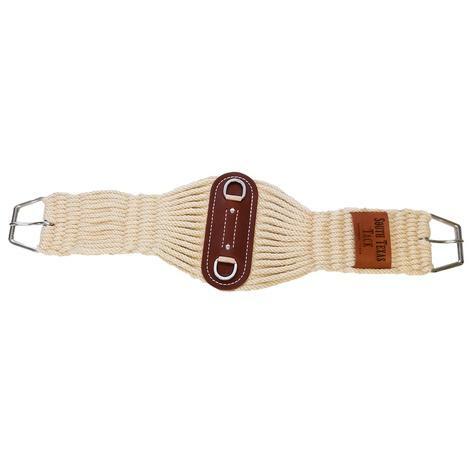 This cinch helps prevents chaffing and soreness because the PVC moves with your horse. Are you trying to find a simple roper cinch that will hold up for a long time? We carry this Mustang Roper Black Diamond PVC Cinch that is extremely durable. The PVC is easy to clean, and moves seamlessly with the horse. Featured with 3 stainless steel buckles and dees. Mustang’s straight PVC covered cinch with a heavy duty web center. The easy to clean PVC cinch features 3” stainless steel buckles and 1” dees. PVC moves with the horse to help prevent soreness and chaffing. Get freedom of movement without irritation from this contoured cinch by Mustang. This cinch is made from plush fleece, nylon, and stainless steel. The stainless hardware feature roller buckles. 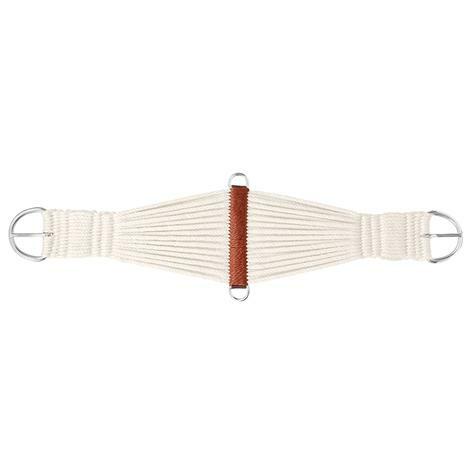 Double woven white rayon cinch with nylon wrapped center and leather reinforced bars. The 3" nickel plated straight pull buckles and dees give this economy cinch an expensive look. 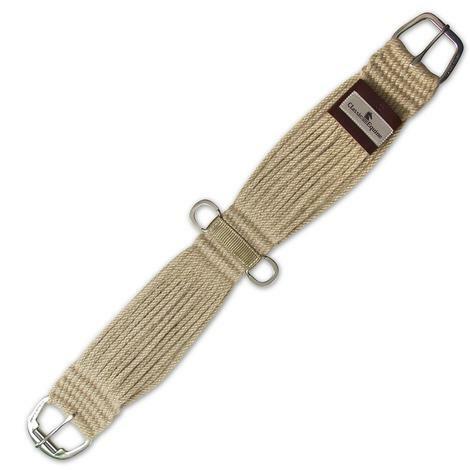 This straight cinch is made from rayon and has nylon wrapped cross bar ends and center. Constructed from 17 strands of white rayon and nickel plated hardware. The buckles are 3 inches and the dees are1 inch. The Merino Wool lining wicks away moisture, is non-chafing, and is easily removable from the heavy duty webbing for ease of cleaning. All the hardware is durable stainless steel. Reinforced center dee rings and roller buckle are easy to use and resist rusting. 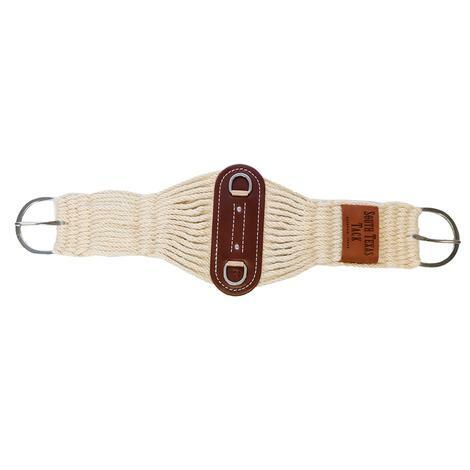 This straight cinch provides comfort for your horse and a secure fit for the rider. This straight cinch is made from 31 strands of 100% premium mohair. This fiber moves with your horse because of its natural elasticity. The unique combination of strength and softness makes mohair a great choose for a secure fit that won’t encourage galling. This straight cinch has a nylon center and stainless steel hardware.